Yes, it's monday! And we got this promo fares for you to some selected destinations. 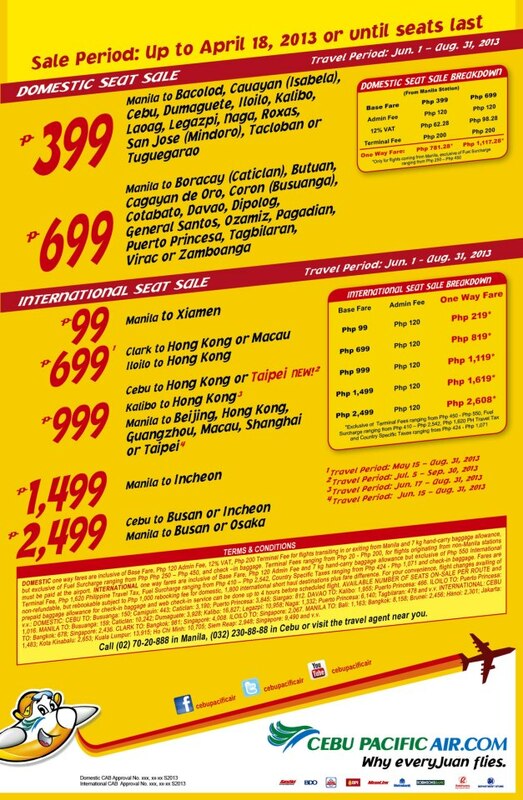 So make sure to visit: http://cebupacificair.com to book your tickets. Selling Period: upto April 18, 2013 or until seats last.